Two generations of Earth’s Mightiest Heroes rise to the challenge and come face-to-face with the Avengers greatest villain in AVENGERS: RAGE OF ULTRON, the can’t miss original graphic novel coming to comic shops and book stores this week! 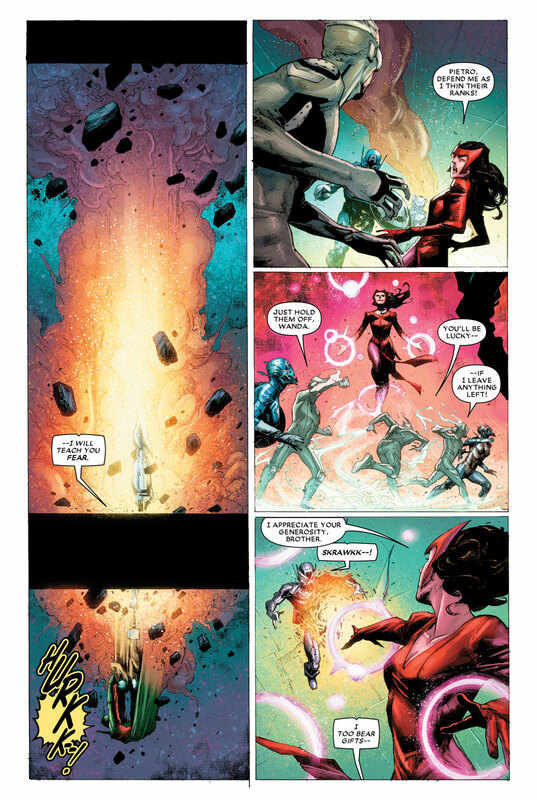 New York Times bestselling writer Rick Remender (Uncanny Avengers, Uncanny X-Force) re-teams with critically acclaimed artists Jerome Opeña (Avengers, Uncanny X-Force) and Pepe Larraz (Kanan: The Last Padawan) to take heroes old and new to the brink of destruction in a story that will redefine Ultron and have long reaching effects for the Avengers! 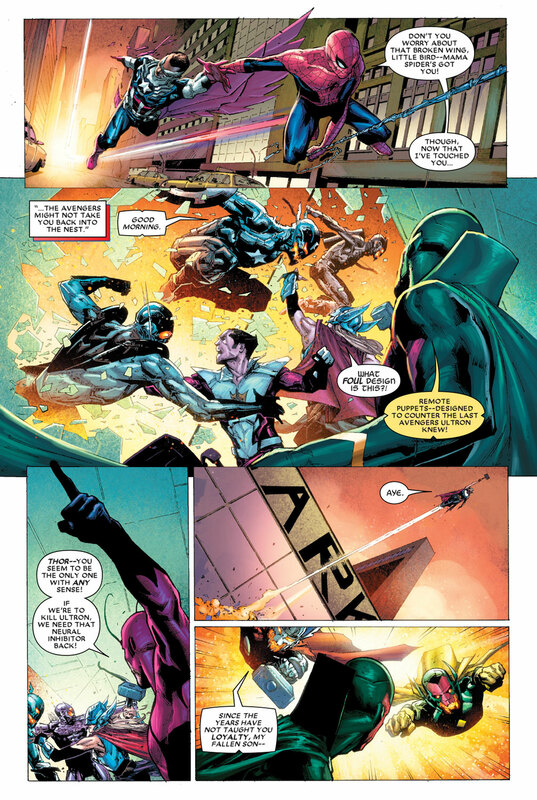 Time and again, Ultron has reformed himself. Each time more vicious and destructive than the last. 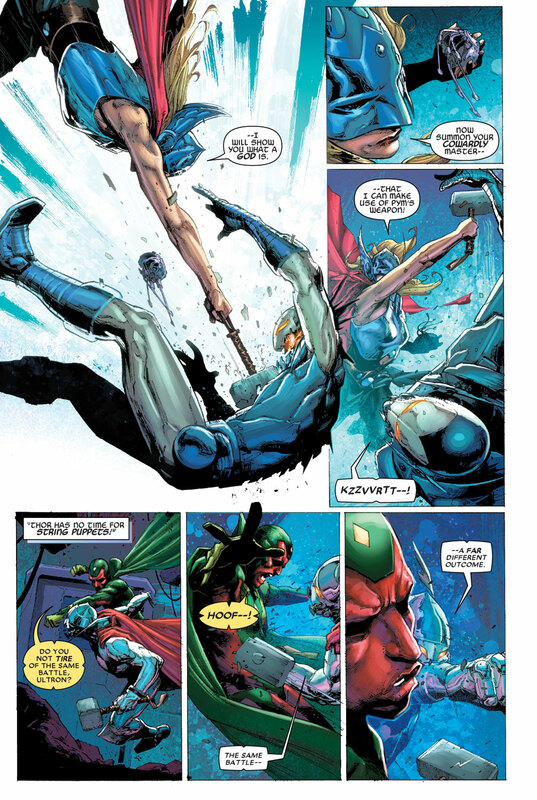 Today, he has returned, unleashing his destructive fury upon Saturn’s moon Titan – home of the superpowered race of Eternals and birthplace of Thanos the Mad. 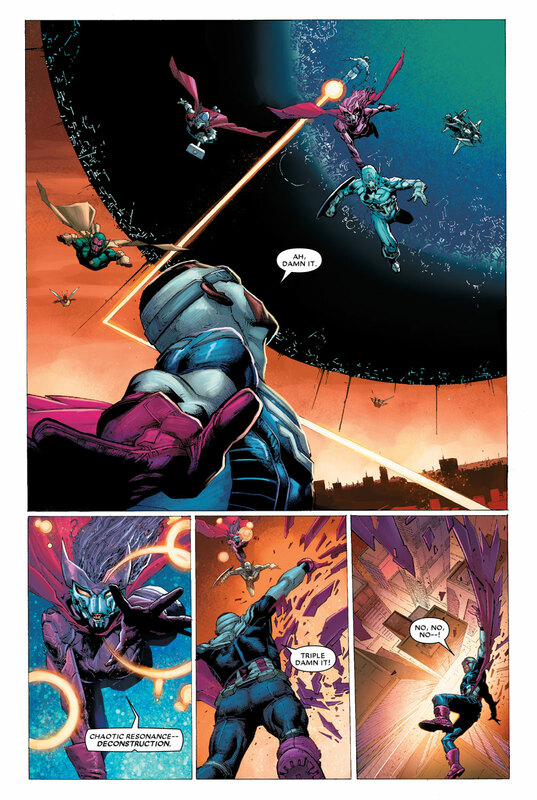 With the Eternals decimated, and Ultron gaining complete control over Titan’s central computer core, there is nothing to stop Planet Ultron! What hope do the Avengers stand against an entire planet of Ultron robots? 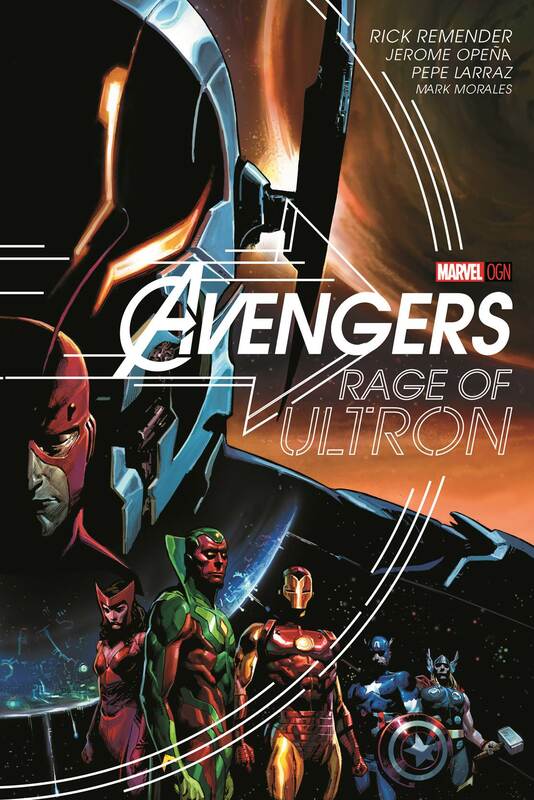 CLICK HERE to purchase Marvel’s “Avengers: Rage Of Ultron” graphic novel. 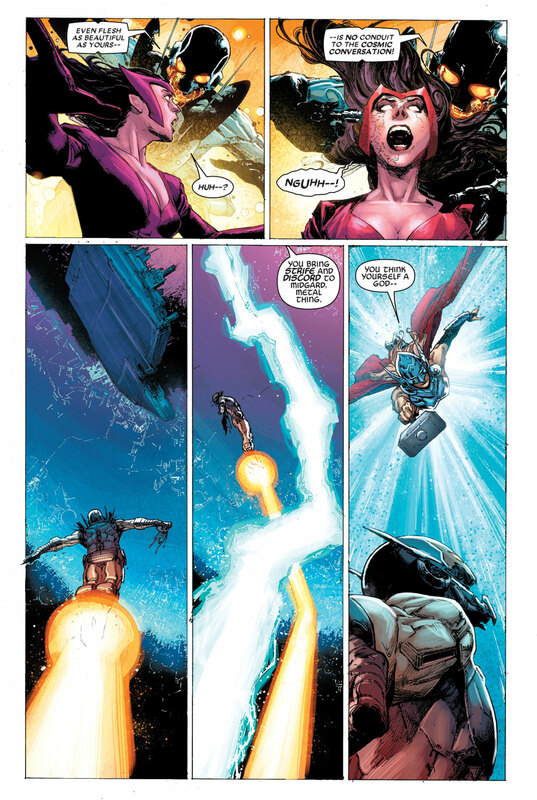 This entry was posted in Books, Comic Books, Marvel, Super Heros and tagged Avengers, Avengers: Rage Of Ultron, Eternals, graphic novel, Hank Pym, Iron Man, Jerome Opena, Marvel, original graphic novel, Pepe Larraz, Planet Ultron, Rick Remender, Scarlet Witch, Starfox, The Avengers, The Vision, Thor, Titan, Ultron, Uncanny Avengers. Bookmark the permalink.